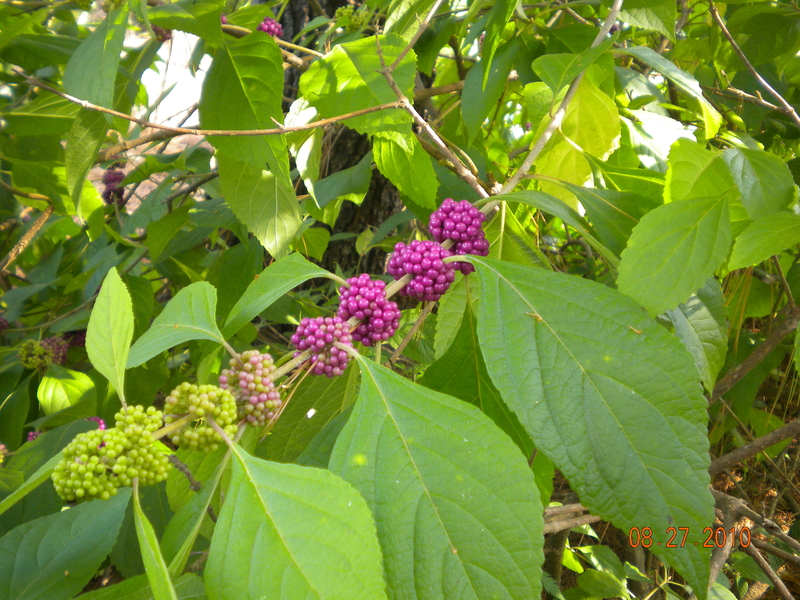 Callicarpa Americana. 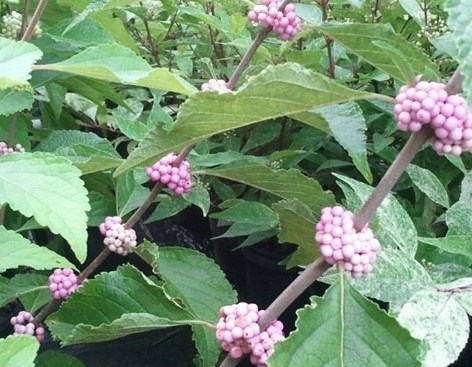 American Beautyberry. Beauty Berry. Berries held tightly in clusters along the stem. 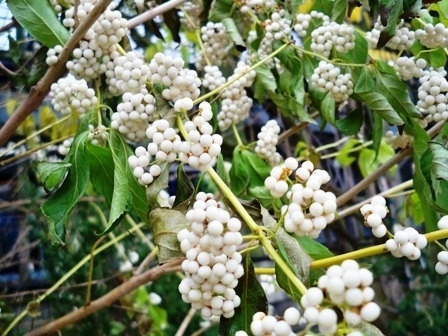 Mature size: 6-8 feet tall and wide, but can be kept more compact by pruning in late winter or early spring. Gallon shrub without pot. Price includes Priority Delivery.